Locksmith Brighton All Hours Fast Response. Need a Locksmith ASAP? Locked Out? Looking for an expert Brighton Locksmith with prices starting at £33 then call Brightons Locksmiths now. Most jobs attended in around 30 minutes. No Vat or Call Out Fee. All the best keys and locks held in stock. As expert Locksmith Brighton, most locks can be accessed in a matter of minutes using the latest non-destructive methods. 95% of jobs completed in under an hour. You benefit with lower prices and great locksmith Brighton’s service that’s second to none. Call now for a free quote and fast service. Locksmith Brighton are your number one for fast response locksmith services 24/7 365 days of the year. We deal with all sorts of locksmith tasks and provide a professional, comprehensive service to those in need when they need us. Locksmith Brighton operates 24/7 365 days of the year with no call out charge and no VAT to pay across any of our services call today and speak to one of the professionals at locksmith Brighton today and see how much time, money, and hassle we could be saving you today! Locksmith Brighton are here 24/7 with locksmiths able to come to you right away or at a later time to suit you. With dedicated office advisors on hand to speak to you whenever you need too locksmith Brighton should be the first locksmith business you call when you’re in need of locksmith services in and around the Brighton & Hove area. Locked out in the Brighton & Hove or surrounding areas? Need a locksmith either right away or at a later time to suit you? Look no further than locksmith Brighton as we’ve got you covered, not just now or in the day but 24/7 365 days of the year. What’s more is that we don’t charge call out fees and we don’t charge VAT either! Locksmith Brighton has over 20 years experience and with dedicated locksmiths and office advisors on hand at all hours of the day we should be the first locksmith you call when you need some locksmith work doing, and you want it doing fast, and professionally. Call locksmith Brighton now and speak to one of our friendly trained advisors today about all of the amazing services we offer to you at your home or at the workplace. Locksmith Brighton are here for if and when you need us and will never try to sell you parts or services we don’t think you need. Call now for a honest, local, comprehensive locksmith service to your door! Locksmith Brighton is your local fast response comprehensive locksmith service for the Brighton & Hove and surrounding areas. With no call out charge and no VAT to pay on any of our services our goal is to provide locksmith services to people if and when they need them and supply those services at the most competitive price possible. Locksmith Brighton just want to make getting a locksmith out as easy as possible that’s why we’re around 24/7 waiting for if and when you need us most to provide the locksmith services you need! Call today and speak to one of the professionals. Locksmith Brighton can get someone out to you right away no matter whether it’s emergency or non emergency we’ll always have the availabilty to send someone right away or at a time suit you schedule. No call out fees no matter the time or place. Call now! 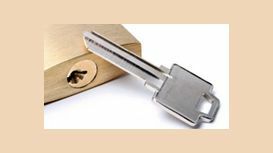 Locksmith Brighton are your local number one fast response lock specialists for the Brighton, Hove and surrounding areas. Locksmith Brighton provides a wide range of services that could be handy when you have a lock problem and you can’t fix it yourself. From lock outs, to lock changes, to new lock installations and Upvc door repairs locksmith Brighton deals with it all and can be with you either right away or at a time to suit you because locksmith Brighton is here for you 24/7 365 days of the year. Locksmith Brighton have over 20 years exerience and all the tools and skills to make sure any locksmith trouble that you might be having can be a a thing of the past, today. We supply locksmith services across the whole of the Brighton and surrounding areas 24/7 365 days a year with no VAT and no call out charge locksmith Brighton can come and remove a lock, gain you entry or fit an entirely new lock for you on a door that didn’t previously have a lock on it. Call now and you’ll be put straight through to one of our trained advisors who’ll guide you through our very simple and easy process then sending a locksmith to you for a competitive price either right away or at a time to suit you. Locksmith Brighton let you have it your way but with a professional touch. Call now and speak to one of our trained adviosrs today about all the services we provide our availability to provide these services and then how much we charge for these services. Call now and speak to one of the professionals. Locksmith Brighton are all you need when you’re having lock troubles in Brighton so call today! Locksmith Brighton has over 20 years of experience and all the tools and skills to make any faulty lock or lock problem you may have a thing of the past as soon as today. Call now and speak to on of our trained friendly advisors today about all of the amazing services we offer to your home or to your work, with fast response times to all emergency and non emergency lock situations you should call locksmith Brighton today. Locksmith Brighton is the number one for fast and reliable locksmith services to the Brighton and Hove are as well as some surrounding areas also. Locksmith Brighton is your fast response instant relief to that lock trouble that you’ve been letting bug you for the past couple of days. Call now and see fast results from local professional locksmiths. Call now and you won’t pay a single penny in VAT and call out charges, that’#s right all of the bill will depend on what we did for you and our prices are super competitive. Did we mention we’re super fast to get out to you in an emergency? Did we mention if you don’t need us right away you can call us to come round at a time to suit you? Call now and speak to one of our professional advisors. Locksmith Brighton are here to help! 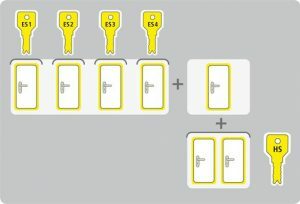 To have several different keys, as in not complete copies to one lock is to have a this feature. What a security master key system provides is the possibility of having a master key which fits many locks and individual keys which fit only one of the locks in question. It’s common to find in apartment situations and in business situations. This way moderation of access is done effortlessly by providing the key holder with the right one for the access they are entitled to. 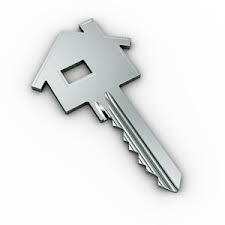 If you are looking into getting a master key system for your home or business. To help you. Here are some definitions and terms that you might meet along the way. Keyed to Differ means that the key is able to only open one specific lock. As with the regular locks you usually come into contact with. 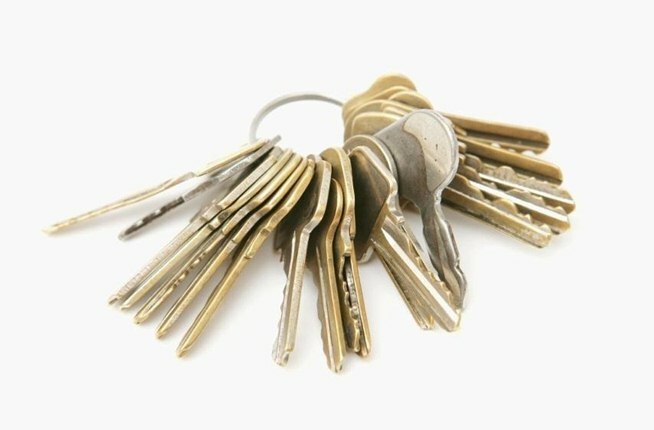 When speaking of keyed alike the reference is to a key that open a number of locks. For security master key system installed at home an example would be, that the same key can be used to open both the front and the back door. The feature can of course be extended to work for any other door you have in mind. Master keyed is the key that opens all the locks which are part of the system. You can find the most extensive security master key system in the business world and in circumstances involving large buildings. Often for the use of caretakers, managers and other staff which needs an all access key. The system is not only highly secure, but can be developed and tailored to your needs. With the right type of practical grouping and arrangement to suit your needs. If you would like to read more about the benefits of implementing a security master key system. Feel free to do so here. Locksmith Brighton have over 20 years experience and at locksmith Brighton we make all of that experience count as much as we can, every day we face the same types of locks that we’ve been dealing with from the beginning , with the exception of a few new ones of course. Locksmith Brighton get to you fast in an emergency, that’s why we say locksmith Brighton in a lock out situation, even if you’re not locked out and it’s not urgent we can still come to you at a time to suit you if you have a busy schedule. Locksmith Brighton want everyone in Brighton and the surrounding areas to know that they can rely on our services for any of their locksmith needs at any time on any day. Locksmith Brighton are open 24/7 365 days of the year for you, that’s not just our locksmiths but that’s our trained office staff manning our phones too. That’s how dedicated we are to making it easy for you to get a locksmith out to you in Brighton. Call today. One of the favourite parts of our job is being with individuals when they’re moving into their new home. Owning your own home is something which is rightly made out to be a big deal in most people’s lives. It forms not only a sanctuary, but gives you something of value and is rightfully yours. Locksmith Brighton are there for new homeowners because amongst all the excitement, it can be very easy to forget the importance of securing your new property. The first thing which should always be done without fail is to change the old locks on the property. This may sound like unnecessarily overbearing, but your locksmith Brighton will always recommend action which puts the interests of safety first. Unfortunately, it’s impossible to know who has access to your property. Not only do you not know how recently the locks will have been changed, but you don’t know how many keys were cut and how many may still be held by former residents. 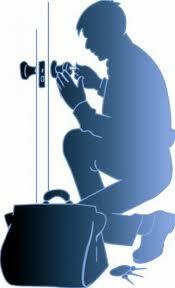 As such, it is an excellent habit for new homeowners, whenever they move, to ensure that the locks are changed. Many new homeowners consider doing this themselves. After all, they think it will save cost for them to install a new lock themselves, especially considering the great outlay buying the property would have meant. However, the risks of such action far outweigh the benefits and when it comes to safety and security, this should never be considered. The best course of action is to call your local locksmith Brighton who can provide a prompt and reasonably priced service, removing the stress that a bad, defective installation may cause. Not only this, but our locksmith Brighton team are always dedicated to going the extra mile for customers, especially new homeowners. You may not know the extent of the security at your property and a specially arranged security survey conducted by your locksmith Brighton will allow you to get a good idea of its current state. You’ll always be provided with a range of options which your locksmith Brighton can implement immediately or a time convenient to you should you so wish to have them enacted. Here at Brighton locksmith we have over 20 years experience and that’s experience we have to use every day from each day to the next. locksmith Brighton never knows what we might have to face in the day so locksmith Brighton likes to be prepared. From our emergency lock outs to our fast response times to our competitive rates locksmith Brighton have got you covered whatever your needs may be. One of the lesser requested but harder tasks and services we offer is our new lock installations these are a little trickier than your average lock replacement and here’s why. See with a normal lock replacements because the lock replacements already have the space in the door for the lock so no joinery is required where as with a new lock installation there is joinery involved because the door was previously plain. First the locksmith must make space in the middle of the door for the lock body, once the lock body has been placed in the door and tested parallel goes the space in the door frame for the striking box. 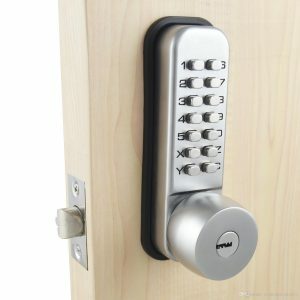 The lock body is the part of the lock that houses the deadbolt and the key hole and the lock mechanism. The striking box is where the deadbolt goes in the door frame when the key is turned and the lock is locked. Call now and get your new lock installation today! Here at locksmith Brighton we’re focused on providing the best services possible for you when you need a locksmith, either right away or at a time to suit you. Locksmith Brighton supplies the best locksmiths services around and our prices are as competitive as they can get. with no call out fee and no VAT payable we locksmith Brighton can come out to you today and provide you with the locksmith services you require with no fuss. Being locked out has never been as stress free as it is with our professional locksmiths taking care of things for you. We don’t employ lazy locksmiths, neither do we employ sales people to answer the phone and sell you a load of services you don’t need, we’d rather employ advisors who aren’t pushy and are there to provide information about the services we provide which then allows you to decide for yourself what the most appropriate action to take is. We feel this is a much better way to operate as our prices are so competitive anyway if you’re ringing around for quotes you’ll soon realise this anyway. Call us today and speak to one of our trained office advisors now, don’t worry if you’re locked out, we can come right away or at a time to suit you allowing you to go about your day and as normal. Our locksmiths have over 20 years experience and all the tools and skills to help you out in any locksmith needing situation with ease and more importantly with no call out fee and no VAT payable. Call now and speak to the professionals. Here at locksmith Brighton, we know what it’s like to find yourself locked out or to find that you’ve lost your keys, we also know that it can be an even bigger pain in the neck finding someone who’s local and can get to you fast but also knows what’s best for your locks, and more importantly, your wallet. We try to work in the most cost effective way we can so we can pass the savings onto you, for instance some locksmiths will only drill through your locks, but if we’re able to get you in without breaking the locks whenever possible. Locksmith Brighton also always have a mobile team that travel all across Brighton and Hove every day so chance are we could have someone close by before you even call us. All of our staff are fully trained to our very high standards of work, this is because we take pride in our work and we want it to show, also we want you to be fully confident in the abilities of the guys we send you. What’s more is that e also heavily vet and CRB check all of our locksmiths before allowing them to join the team, this is because we think it’s just as important for you to be able to trust our guys as much as you trust their capabilities. We don’t just train anyone to get through locks! Call us today and see if we can’t get you back into your property or repair or replace your locks or doors. Just give us a call, we won’t make you speak to automated messages or put you on hold for half a day waiting to speak to the right person, this is because at locksmith Brighton, their isn’t a wrong person to speak to, all of our friendly staff are fully trained and will be able to help you with anything yo may require from us. Call today! 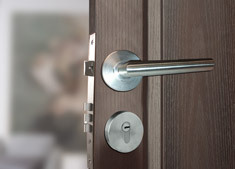 Here at locksmith Brighton we deal with many types of lock, keys, and different material doors, and it doesn’t stop there, locksmith Brighton actually deal with all these different factors but in different situations too, and we could never guess what those situations might be at the start of the day or the week. Locksmith Brighton even deals with some of the less common locks and sometimes those less common locks don’t even need keys to open them. Take the mechanical code lock for instance usually seen on office buildings or to store cupboards. Locksmith Brighton can deal with any type of mechanical code lock, fit, replace, repair, and even install any mechanical code lock you might want, and what’s more is that locksmith Brighton can supply you with the lock also. Mechanical code locks work by using buttons labeled with numbers and letters, you must enter the preset code in order to user the handle of the mechanical code lock. If you get a number wrong you’ll need to press the cancel button and start again as the locks buttons stay down when pressed until someone either uses the handle or presses the cancel button. Mechanical code locks are good for the office because they can save you money on keys. A good mechanical code lock isn’t cheap and even though this is the case you’ll still save money on keys if you’re an employer with a high number of staff when you compare the costs to those of a normal key lock. How? 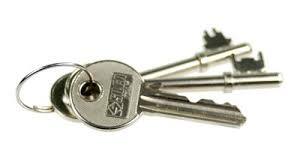 If you have a high number of staff with a key lock on your front doors, you’ll have to supply all of your staff with a copy of that key, and then what about if one of the keys go missing? Locksmith Brighton would advise changing the locks, and that means new keys for everyone, this happens a few times and it can already be a lot more expensive than the top of the range mechanical code lock. Locksmith Brighton have been around for a number of years and not only that but have been around 24/7 356 days of those years waiting for if and when the people of Brighton and Hove need us most. Any lock issues that you might have can be a thing of the past, today. Locksmith Brighton offer fast response services in both emergency and non emergency situations and can be with you at the drop of a hat, either right away or at a time to suit you. Call today and speak to one of our trained office advisors today about all the great services we offer. Whether you’re locksed out, need you locks changed, or would like a new lock installed on your door, locksmith Brighton has all the tools and experience to get you through any situation where a locksmith is required. Call now and speak to our advisors about things like the different services we offer, our availability to offer those services and more importantly how much we charge to provide those services. Call now and don’t pay any call out fee and don’t pay any VAT and see you getting the most out of your money with locksmith Brighton! Here at Locksmith Brighton, we think the most important factor that’s often overlooked when talking about factors that affect longevity of a business is customer service. We don’t mean the three pages on a companies website full of buzzwords and jargon that doesn’t even get a mention once your wallet or purse is out. Some companies have even been known to charge some customers more based on where they live, we think this is highly unprofessional and would never go about our business in this way. That’s why we won’t bog you down with essays about how well we treat our customers, that’s not like us, we’d rather show you that you matter with our actions. And that’s precisely why we run a 24/7 365 day a year phone line with no automated bots or hours on hold, you’ll ring us up and be put straight through to one of our friendly trained advisors, so not only do we not make you talk to robots in an effort to save money but you’ll always be able to speak to someone who knows what they’re on about which is a lot less than other companies have to offer. But we won’t go on and we’ll let the service speak for itself, call us now and see what we can help you with, today! 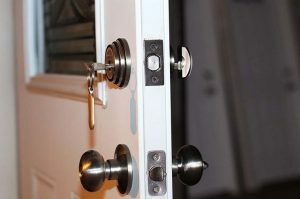 Here at locksmith Brighton we’re dedicated to dealing with all types of locks and lock out situations, but that also means we need to be prepared for all types of doors, keys, and all other types of security system. Locksmith Brighton deal with absolutely loads of Upvc doors over the years and now we’d even call ourselves specialists. Locksmith Brighton carry all parts for most types of upvc doors on our vans at all time which means that even if we come out expecting something wrong with your upvc multi point locking mechanism and it actually turns out to be just a simple cylinder job, we can just go back to the van and replace your euro cylinder with a shiny fresh anti snap and anti pick euro cylinder to fit your upvc door no matter the measurements. 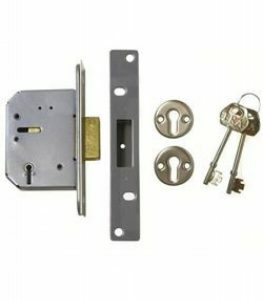 Locksmith Brighton suggest that even if you don’t get your euro cylinders replaced by ourselves, that you should always check if your locksmith is using anti snap locks at least, this will mean that you’re safe from the most common type of break in through upvc doors which is a method of break in call lock snapping. 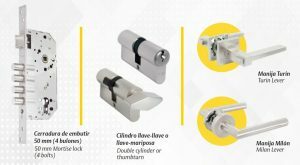 Crooks use lock snapping to take advantage of a flaw in the design of these euro cylinders that aren’t anti snap, however if you take the time to check if your locks on your upvc doors are anti snap, and they are then you don’t have to worry about anyone getting into your house. Call locksmith Brighton and speak to one of our trained advisors today, we won’t make you speak to any automated robots or machines, or put you on hold for half a day waiting to speak to someone, we’ll put you straight to the right person and they’ll guide you with anything you need assistance with. Nearly every house and business premises we attend for emergency or routine locksmith work have similar locking mechanisms. The majority are all based around the same traditional locking systems that have been securing our homes and places of business for centuries now. There’s obviously a reason they have survived and that’s because they are incredibly effective at what they’re meant to do. Unfortunately, they’re let down by one thing: keys. When you lose a key, it may mean you have to replace the whole lock if you don’t have a spare. If the key breaks, you will need a new lock. What’s more, an exposed keyhole leaves your door and subsequently your property, exposed to outside intruders who are may be able to “pick” your lock. With the technological developments in the security market increasing exponentially year-on-year, your locksmith Brighton has taken this time to retrain in order to provide an effective service that stays in line with developments. This means that your locksmith Brighton is fully qualified and highly trained to assist both houses and business premises with smart and electric locks. The latter have proved particularly popular amongst small business owners in the area. For example, we have had a large increase in calls from office spaces enquiring about electric strikes. The most likely place you would have seen these before would be on the doors of flats with a shared communal hall space. 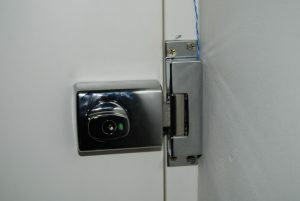 Instead of having to go downstairs and unlock the door each time, they are fitted with an electric strike, in conjunction with a telecom, which can be opened with a buzzer. However, these usually still have a keyhole. If using an electric strike in a shared space, these can be installed with any electrical signalling method such as a key code or swipe card. Not only does the simplify your security, it removes the risk of a keyhole being used to break-in to your premises. Similarly, we also recommend electromagnetic locks as an option. These act in a likewise fashion and with an incredible holding strength, can add outstanding security to your premises. As with all services offered by your expert locksmith Brighton, a friendly professional will always be available to take your call and assist you with your specifications. 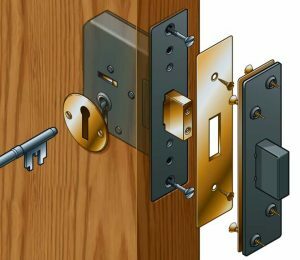 Mortise Locks – Mortise Locks are the most stubborn out of the three, their usually found on front doors of houses and can only be unlocked by a key from both sides. These are the hardest to break through and the most expensive to replace. 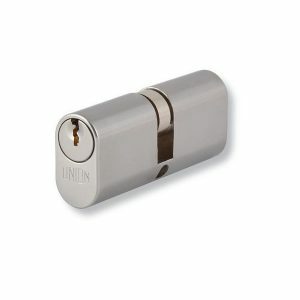 Euro Cylinder – euro cylinders are the cheapest to replace and the easiest to replace they can either be unlocked with a thumb tab on the inside and a key on the outside or a key on both sides. Commonly found on Upvc doors. 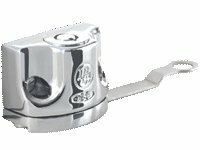 Night latch – Commonly referred to as Yale locks, however yale are just a brand of lock famous for their night latches although they do make other types of lock as well. Commonly found in flats and apartment buildings to ensure anyone can escape the building without a key needed. All of the locks we use are a 100 per cent in line with their corresponding British standards, so you won’t have to worry about your home insurance policy. If you have a question about any of our locks or the brands that we use don’t hesitate to call our office staff who will be more than happy to answer any question you might have for them. 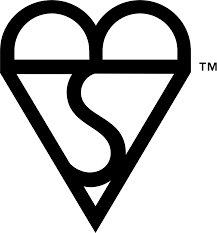 Here at locksmith Brighton it’s our duty to make sure all of our locks are in line with British standards. This is because if they aren’t and we fit a lock to your door and then get burgled, your insurance companies might be well within their rights not to pay out. Although this might sound like a shady move on the insurance companies behalf, it’s actually there to protect you from being sold weak locks. 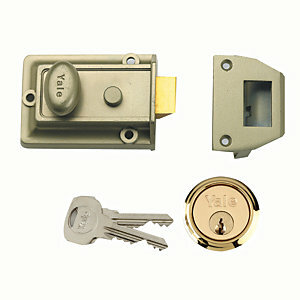 BS3621 – This covers all mortise and cylinder rim locks that take keys from both sides of the lock. This standard ensures that as long as an attempted intruder has the keys they won’t be able to gain access to your property through fault of this lock. BS8621 – This covers all locks with keys for the outside access but the ability to be locked and unlocked from the inside without a key and that’s why they’re used in flats and apartment buildings, so in an emergency anyone can get out in an emergency situation such as a fire. BS10621 – This covers all locks that only lock from the outside with a key, but can be opened from the inside depending on whether they key was turned enough to disable this. Stay within these British Standards for all locks you may buy or replace in the future and you’re sure to be safe when it comes to claiming on insurance. 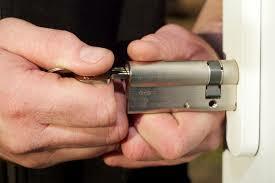 Deter criminals with locksmith Brighton hints and tips! 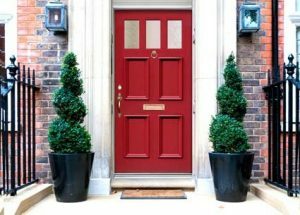 When protecting your property, the most important thing to do is firstly think of the security of your front door. What basic security measures that your locksmith Brighton recommends depends entirely on the type of door you have. 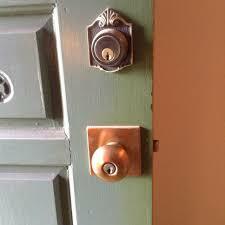 If you have a wooden door, we recommend, as a minimum, the installation of a mortise deadlock. Similarly, if you have a UPVC door, you should have an anti-bump, anti-snap eurocylinder lock. Ensure these are both British Standard and if you are unsure of their quality, give your friendly locksmith Brighton a call and they will be able to diagnose the strength of your security over the phone. Whilst this is all important, it’s also necessary to ensure that any potential burglars don’t target your property in the first place. In fact, it’s really not as difficult as it may first seem. Its often a combination of many small practices and habits, rather than large, time-consuming ones. With this in mind, your locksmith Brighton would like to suggest some hints and tips to prevent burglars even considering your property. Burglars will tend to look at how security conscious they believe the property to be. This means they will quickly examine the number of locks, lighting and even small matters such as whether a gate has been left open or not. They will also for anything outside your property which they can use to get in. This means tools which assist in actually getting in and also objects which can be used to climb. It sounds obvious, but it’s important to ensure such equipment or garden furniture is not left out overnight. Again, this is just inviting trouble from burglars who don’t believe you take your home security seriously. Finally, your windows are literally like a shop. Keep valuables hidden and your property will seem less inviting. A locksmith Brighton can always conduct a security survey of your property at a time convenient to you to highlight any potential weaknesses. Here at Locksmith Brighton we’re very serious about home security, and we think you should be just as serious. We don’t think it’s enough just to have secure locks, and we also thin a burglar alarm is a perfect back up when the locks can’t protect you. Most people have some sort of alarm system on their house, but how many of us actually use it? A recent study conducted by Which? found that 7% of people asked who used their burglar alarm were victims of a burglary or an attempted burglary, and further found that 1 in 10 of those 7% were targeted more than once. Another part of the article included a survey involving ex burglars, and they were asked what the most likely thing to put you off burglarising a house and the most popular answer with 70% was a burglar alarm. 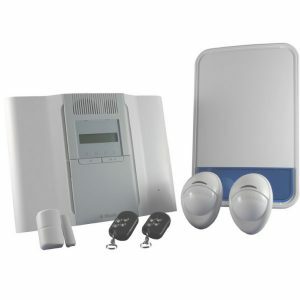 But what type of alarm system is best for your home? There’s two types of alarm available and they both have their advantages and disadvantages. 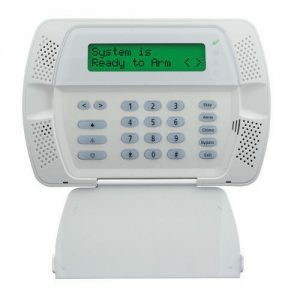 A stand alone system is just that, an alarm that makes a loud noise when triggered alerting your neighbors and passers by for them to then alert authorities, this system is much cheaper than a monitored system but isn’t very useful if you haven’t got neighbors nearby to call the police. The second type of system is a monitored system and this works by the owner paying a security team to monitor your alarms and then call the police if your alarm is triggered. This is more expensive but it’s the best option if you don’t have neighbors in a close vicinity. How can locksmith Brighton help your local business? As your locksmith Brighton shall have waxed lyrical about before, commercial premises require a particular kind of security. Unlike residential properties, commercial properties differ greatly and means your locksmith Brighton regularly delivers expert security services for warehouses, factories, shops and office blocks to give just a few examples! Whilst your locksmith Brighton doesn’t discriminate in who we offer our services to, we take particular pride in helping small, local businesses sort out their basic security needs when moving into new commercial premises. Unlike larger corporations, small local businesses are unlikely to benefit from favourable insurance and we understand, as a small business ourselves, that if the worst happens to your property, it can often hit you harder than a corporation who can rely on other parts of the business to restock the store immediately. That’s why we offer special rates and discounts for other local businesses! Once your security is sorted, you can focus on what you need to do, which is making your business a success! No matter whether you move into a warehouse, office or anywhere else, our locksmith Brighton are happy to visit your property and conduct a routine security survey to help make you aware of any potential weaknesses in your property. As a full-service locksmith Brighton, we can then help you install and repair any works you’d like us to carry out based on our recommendations. That means whether you simply need a strong mortise deadlock installed or a brand new alarm system wth al the appropriate electrics, we’ve got your back. In fact, if you’re a customer-facing business selling products on the high street, we can provide the added extras every such business needs. That means we can help you with installing lockers for employees and a security safe for the day’s takings. Locksmith Brighton are proud to continue serving the community all year round. Here at locksmith Brighton we know how much of a pain in the neck it can be when you find yourself in a lock out situation, and sometimes it can be an even bigger pain to find someone local to you to let you back in who can replace the lock if required, not take all day to get to you, and not charge you an arm and a leg in the process. Locksmith Brighton encourages locksmiths to be wary of people trying to rip you off in an emergency call us and we won’t change our rates from our normal locksmith rates. Locksmith Brighton doesn’t charge you a call out fee, we just charge you for the work carried out. Locksmith Brighton want to make it a simple process, because locksmith Brighton know that all you want to do when you get locked out is to get back in. And if you haven’t got the know how, or the time to deal with it yourself, then we think you should always have someone around to cover you from lock outs and emergency locksmith work in the Brighton area. Locksmith Brighton know that it’s a massive inconvenience when you get locked out, but we don’t think it should be a massive inconvenience getting you back in to your house and then replacing the locks and giving you a new set of keys, at a competitive price there and then. Do I need to have a safe installed? If you are pondering if a safe for your high value items at home or at work would be beneficial to you. Then the quick answer is yes. There are a great number of benefits to having a secure place to store your valuable documents and irreplaceable heirlooms. A home safe, although a bulky security measure, is an investment that we recommend. To have a safe installed at home is not only great to prevent theft of the items closest to your heart. To have it done by a caring and trusted local provider is even better. Whether it’s the day’s takings for your business, your great great grandmother’s tiara, or if it’s to keep your spare keys and identification documentation under high security. Having a safe installed by a professional is well worth the cost. It’s a one time investment which will last. If you are currently browsing what is available on the market you might be harrowed by the number of products on the market today. Speaking with a local expert on the topic is an excellent addition to your investigations. You might think that with great security in place for your building, that you don’t need to have a safe installed. This assumption is only partially right since although risk can be minimised, it can never fully be removed. A properly installed safe is as close as you will get to ultimate safety for your items. In addition to all the benefits that having a safe installed and as you may have already seen when looking into the question yourself. Most safes also provide protection against fire and flood. For help on the matter feel free to ring us at any time. We are happy to inform and advise based on our long history in the security business. Naturally all the help with installation you will need is also available here. So you have finally made the big leap and now own your own home. This is a joyous day and your locksmith Brighton congratulates you on the big move. However, now you have far more responsibility for your property compared to when you previously were only a tenant in someone else’s home. However, do not fear, your friendly locksmith Brighton is here to offer you some advice and services to ensure your property is adequately protected. The first thing you should do is make sure you change the locks on your new home. This is recommended by your locksmith Brighton for whenever you move house. As a matter of precaution, you do not know how many keys were previously cut and who still might have access to your home. If there are a number of locks that need to be replaced, your locksmith Brighton will always offer a reasonable deal to save the already almighty expense of moving home. The second thing is to conduct a thorough security inspection of your property from the outside. If you are unsure of how to do this, your friendly locksmith Brighton team regularly carries out such inspections and are always available to offer such services at a time convenient for you. If you do not require our services, then our one tip is for you to think like a burglar. This means looking for what surrounds your property that might make it easy to access. Are there any objects which are easy to climb? For instance, consider planting a pretty rose bush up the side of your fence. This aesthetically pleasing deterrent will keep your home secure and make it delightful to look at. The trick is to always be one step ahead. 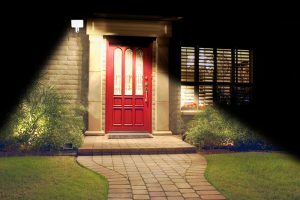 If you’re going to be out of your home for long periods, you should invest in security lighting or fake TV lights to switch on in your property. If you are unsure of what security you may need or are simply in need of some friendly advice, call one of our helpful locksmiths Brighton today. For many people, home security still remains much of a mystery. We understand the need to protect our homes, but we’re not quite sure how we’re meant to do it and the best way of doing so. Of course, before thinking about additional ways of protecting your property, it’s important that the basics are done correctly. Therefore, the first place to start should always be your front and back doors. The first thing to check is the current security present on each door, especially your front door. Unless your property is a new build, there’s a strong likelihood that your front door will be wooden. In this case, it is likely you will have either a Yale lock or a mortise lock, maybe even a combination of the two. Your locksmith Brighton always recommends both in harmony on a door, but never a Yale lock on its own. While these gained popularity due to their convenience to the customer, the cheap price of manufacturing and the ease of installation, they are a much weaker form of protection than a mortise lock. A mortise lock will either be a deadlock or a sash lock. What you require may well depend on what is already present on your door or what you would like to be present by way of aesthetics. Whatever the case may be your locksmith Brighton can discuss the most suitable option over the phone or in person. It is most likely that your home insurance provider will request a 5 lever British Standard lock in order to validate your policy. Not only are these notoriously difficult to pick, the British Standard means the lock has a longer bolt throw, anti-drill plates and a security curtain to protect the levers. 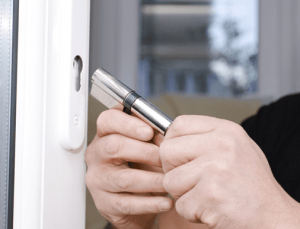 As this is supplied as standard by a locksmith Brighton service, you can be sure you will be receiving adequate protection when upgrading your home security. Thinking about upgrading your security should not be such a headache. After all, everyone wants to ensure that their property is secure. No matter if it’s for an extended period of time whilst your on holiday or if you’re at work for the day, or even if you are at home at night. The confusion sets in primarily because of the number of options that are now available. A security expert Brighton can now offer a comprehensive range of security installations to protect your property. All our locksmith Brighton team are capable of installing high-tech security such as CCTV and alarm systems, not to mention the niche security upgrades such as anti-thrust plates. If you are confused then the best people to talk to are the team at locksmith Brighton. Our local locksmith Brighton can carry out a comprehensive security survey of your home to assess any vulnerabilities with your security before suggesting any potential work we may advise on being carried out. All works are discussed well in advance so you can decide on the most appropriate security solution. With all lock installations and lock upgrades your expert locksmith Brighton has affordability at the forefront of any work carried out. After all, everyone in Brighton deserves access to high quality security. With rising crime rates across the whole of the UK, this could never be more important. This is possible from an expert locksmith Brighton that regularly tests all new products that enter the marketplace. With trusted brands such as Yale, ABS and Chubb regularly releasing new products in a highly competitive market it’s important that a trusted locksmith Brighton is able to discern which products offer the best security for the best price. All our cost savings are passed on to the customers as part of a locksmith Brighton dedication to excellent customer service. That does not mean there is ever a skimp on quality. All locks installed are British Standard, which is important as it guarantees effective security and should also ensure validation of any insurance policy you may have. As with the rest of the UK, Brighton is unfortunate in having been hit by what feels like a plague of criminal activity. It is unclear what the primary cause may be, but it does appear that the world feels a little bit less safe on the local level currently. It is not the intention of a local security professional to scare customers, merely to bring some reality to the current security climate. This is echoed by the increasing number of calls we receive from customers asking us about any potential upgrades they can invest in. In fact, there’s certainly been a rise in the number of calls regarding anti-snap UPVC locks. All our locks are fitted as both anti-snap and anti-bump as standard. This is important as it provides that vital layer of protection to your property and makes it much more secure than it would have been before. 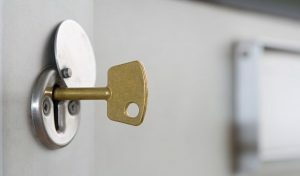 If you are unsure about the state of your lock, a local locksmith Brighton can inspect the state of your premises by carrying out a security survey and highlighting any potential weaknesses. Your locksmith Brighton has now begun to recommend customers to look to the business world when considering security upgrades. Whilst commercial properties differ and range from warehouses and industrial complexes to shops and offices, it’s most likely that they all contain a safe somewhere, most likely in the manager’s back office. This is where the day’s takings and other important documentation are kept safe overnight or during the day. Your locksmith Brighton has spent the last couple of years safely supplying, installing and maintaining safes all across Brighton and the surrounding neighbourhoods. We ensure that no matter what your budget may be and what specifications you require, we always use safes which are fire resistant and burglar proof. This gives our customers added peace of mind that, should the worst happen, at least their most important valuables and documents will be kept safe. Here at locksmith Brighton we do things a little differently to other people in that we use every tool available to us to make our service as helpful and as easy to use as possible. This is from our phone lines to our website to when we come and help you with your locksmith troubles on site, locksmith Brighton are here 24/7 365 days a year to help you if and when you need us. So how do we do things differently to other people? and how does it benefit the customer and us? So unlike other companies we see the links between different aspects of our business, for example we know that people get our number from this website and therefore whatever we’re talking to customers most about on the phone for that week, is what we’ll write about and talk about on our website. Not that we want to avoid your calls if possible, but rather we think it’d be quicker for you if you were to find the information you were looking for here before you called. Locksmith Brighton know what’s being spoken about most on the phones because we talk to our trained office staff periodically and ask them if they’ve spotted any trend in what people are asking for. Locksmith Brighton cares about your time and your money, so if you need any locksmith work in the Brighton, Hove, Or surrounding areas, give us a call today and we may be able to send someone out to you right away. In the picking stage of what you would like to have in place. To keep your home secure whilst you are away. A burglar security alarm is something you should choose. Based on both preference and need. What your specific security needs at home are depends on many factors. What area you are in. What security features you prefer. What budget you are on. These are just to mention a few of the factors you need to keep in mind when choosing what burglar security alarm to get installed. To get the assistance you need feel free to get in touch with our high end technicians at any time. They are skilled in assessment. We help you get the wired or wireless system you need put into place. With minimum effort to you. The choice between a wired and wireless system is one of the first things that will come into the picture. A wired alarm requires professional installation. But as a result for the slightly elevated cost you get a more robust system. Not as vulnerable to issues with power or signal. In most cases for a home. Our technicians recommend a wired system. Both due to the stable and secure environment they provide. And due to how long they last. Wired systems require less maintenance, and are thus easier for you to deal with. The relatively young smart technology that is out there today is also an option. They come with remote control features. And with many systems you can monitor your cameras and access from afar. The bottom line when picking a burglar alarm for your home. Is to ensure that your basic needs are covered. Book in with us for security inspection and all the alarm advise and installation help off the trot. Can a locksmith Brighton specialist help with my home window security? In matters such as security, home or office, workshop or other place of business. Of course the skills of a trained and friendly locksmith Brighton specialist comes in handy. To contact a professional lock and key worker. Who holds years of experience and is trained to the highest standard. Will give you access to the best of what is out there in the ways of security for your windows. Installation, plus the advice of finding the right and suiting products from you is something you can get help with from locksmith Brighton specialists with at any time. Call our number above to find the high security features you need for your window locks. Installations of high security windows, inclusive of frame checks, lock checks and security advice. Is done around your schedule. Speak with a locksmith Brighton specialist today to get your window security up to date. Every entry point to a home is a potential risk if left unnoted. Quotes are competitive, service fast, and delivered at times that suit you. And with every trick, skill and window security installation course drilled into us. You’ll not find a friendlier or more professional high security window specialist installer in your locksmith Brighton area today. Previous customers can attest to our wonderful services. Feel free to contact highly trained locksmith Brighton professionals now for your quote, for advice or for help with any other lock, alarm or key question. We know locks, we know security and we know that you need to have the best possible price for your installation. To ensure that you get the security you need to have in an up to date state updated. Home security here at locksmith Brighton, is no joke. We don’t take home security lightly and neither should you, the amount of jobs we attend where homeowners have wished they’d updated there home security before they had to see us is unbelievable. Don’t be like them, don’t play around with your belongings. 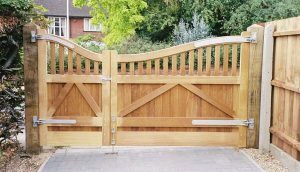 For us home security starts in the garden, we like to think of your garden as a bridge from the deep dark unknown to your house, and anyone who makes that path a pleasant one for intruders, or make that path a nervy jumpy path that might make burglars think twice about attempting a break in. 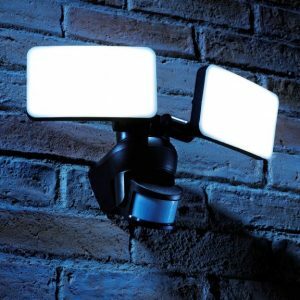 If you’re on a budget the best thing to do would be to pick up a external light with a motion sensor to point down your garden meaning you can see everyone who walks up your drive. Another good tip from us here at locksmith Brighton is to check the materials and the lock types on your doors, and then with this information do some research into the type of break in most associated with this material door and this type of lock. For example if you have a UPVC door you’d be most at risk of lock snapping and therefore would need to check if your door had anti snap cylinders fitted and fit them if they aren’t already there. Can a trusted locksmith Brighton engineer help me with my lock repairs and replacements? Fast assistance is important when it comes to provision of services with locks. Change, check or new installations all need to be done as soon as possible when the need occur. Something a skilled specialist in locksmith Brighton regions will know, and abide by. Making sure a great job, fast and done with precision is at hand for you at times of need is our priority. 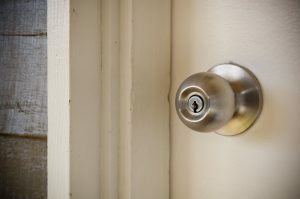 You cannot leave your home open to risk once you’ve notice something is broken or once you’ve noted visible signs of deterioration with your locks. This applies also to you window locks and naturally a locksmith Brighton engineer can assist you also with your window locks. One of our most common affairs is to help people in stressful lockout situation. Here the need is urgent, and often cannot wait any longer than needed. Get in touch with skilled locksmith Brighton technicians now if you have a lockout problem and expect your situation to be resolved. Fast and easy, and affordably with our dedicated workers. A trusted locksmith Brighton engineer can help you with your lock repairs and replacements in a flexible way. And around your schedule. Call now for more information. And don’t forget that prices are competitive and kept low for you by our dedicated market investigators. Good prices and great service, and of course full installation and providing of the materials for your installation is available with local locksmith Brighton professionals. A skilled locksmith Brighton local knows what you need, both for your office or work environment as well as for your residence. Locks are what we love, and if you employ us to help you with your lock repairs and replacements. You can rest assured that quality will be yours, and that highly trained locksmith Brighton perfectionists have been called in to see to your need. 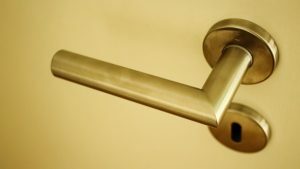 When people think of installing bolts on their door, they often think of an unsightly, thick metallic mechanism that destroys the aesthetic interior of your property. This could not be any more of an unfortunate misconception. Security companies understand the rising need for such mechanisms and have, over the years, becoming increasingly accommodating by ensuring bolts can be both highly secure and aesthetically pleasing. This is good because it is one of the most cost-effective upgrades your Brighton locksmith recommends to all customers. 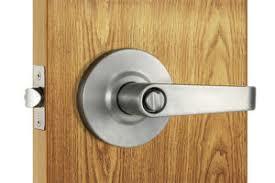 Wooden doors are usually secured by one of, or a combination of, a mortise lock and a Yale lock. If these two are combined, they are very effective at protecting a property from outside attention as getting through both can be difficult for a criminal. However, should the worst happen, there should be an undetectable layer of security that stops anyone in their tracks. 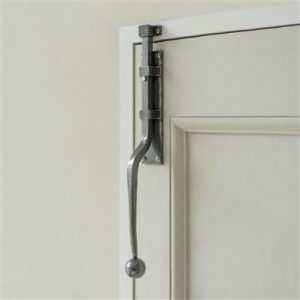 By attaching a bolt to the top and bottom of your door, you can fully fasten the door into the wall or door frame. This means that if someone can get through your key-based locking systems, it is unlikely they’ll be able to get through the bolts securing your door with any ease. Not only is this because they’ll be in places hard to reach, but – you can take it from a locksmith Brighton that tests all security products on the market – trying to break through a bolted door, isn’t easy. Sliding patio doors can also benefit from bolts. These doors have a weakness that can be remedied by an anti-lift patio door lock. These do what they sound like they do and prevent anyone lifting the door out of the sliding rails. In fact, this keyless locking system actually tightens if force is exerted on the lock in an upwards motion, thus further securing your door. If this sounds like something you could benefit from, we always carry a range of products in our van for you to choose from and further secure your home. Many of our workers are here due to tradition and passion. They work in the harsh industry of security provision through a love and duty to protect the local community. Though always holding the most genuine of care for the safety of our customers at heart. A truly responsible locksmith service has emerged. Try us for yourself. Speak to us by phoning now. The fast forward moving industry is in need of hard working minds who always keep an eye on what is current. The security features and locks which worked half a decade ago is unlikely to provide the safety and security which is needed now. Another example of the quick pace held is the integrated systems arriving on the market. 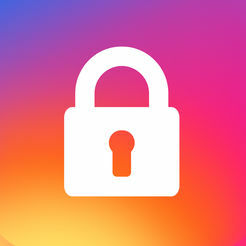 You can speak to a local and up to date locksmith provider about your smart home security system installations as well. Where your alarm, monitoring, remote access and other features can be controlled. Traditionally trained, passionate about current security products and systems. The best locksmith provider choice for you is just around the corner. Phoning is the quickest and easiest way to get in touch with us. Quotes are available from skilled and trained and experienced locksmith over the phone right now. Competitive, and high security. Or feel free to pop your requirement though the contact page. Upgrade, keys, locks, alarms, gates, grills, bars. You name it, we have it. Come to a locksmith who can cater for all your needs today. With a number for a tried and tested locksmith professional in your pocket you simply cannot go wrong. 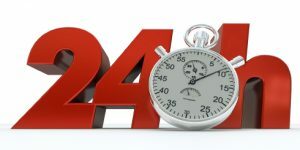 24 hour access in case of emergency, and quick lock checks, repairs and installations at any time. The one thing that you can be absolutely certain of when you call on the accomplished specialists here, is that your security will be to top standard, and thief trying their luck will meet with the maximum amount of resistance. Locksmith Brighton knows security, having been traversing the fields of security since long before the digital era hit us, and with traditional friendliness and service, as well as some handed down trade secrets, advice from police and mixed with the continuous study and practice with regards to the new products which pour onto the market every year you will struggle to find a better smith in the area. Taking into account the manifold of factors included in security, locksmith Brighton can assist in close to every way, from advice, products recommendations and position and so on. Speak to the friendly guys and girls which work here today and find out more about your own security and learn more about how you can make your security at home rock solid, even if you are searching for a something passable also by your budget. 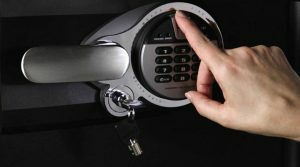 As the world we live in grow increasingly violent and decrepit, employ the forces of good to keep yourself and what you own safe, locksmith Brighton are here to help keep you as safe as possible for the years to come, and with many long term customers who can testify to the great work we do, also you should join us now. Protect yourself from those desperate enough to go to such means as stealing with a great locksmith Brighton who never turns the moral searchlight off. Here at locksmith Brighton we hope you’ve been enjoying the recent heat wave we’ve been having, we know a few people who haven’t been enjoying it as much as you’d think, that’s because they’ve been at work, and in this line of work a heat wave makes things even more difficult. So shall we take some time off and wait for the heat wave to pass? No it’s business as usual for locksmith Brighton. What about charging you more to do the work because of the heat? Absolutely not, we’d never charge our customers more down to something they have no control over! Here at locksmith Brighton we just want to make everything quick simple and easy to use so you don’t have to feel any more stressed out than you already have been in this very stressful time, especially if you’re locked out. Call today and see if we can’t send someone right away, call our trained office staff and they’ll guide you to the solution of any locksmith problems you may have, or about any of the cracking services we provide. Our trained office staff are trained to handle questions about all aspects of the business so literally ask away they want to us their training. Call today, see what we can do for you! Here at locksmith Brighton we never know what sort of locks, keys or doors we might be confronted with when we step out in the morning. 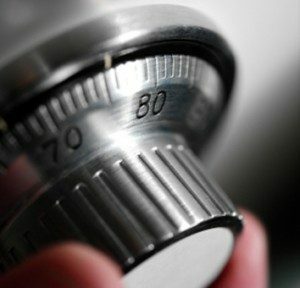 From lock outs to mech changes to lock replacements to new lock installations, locksmith Brighton has really got you covered, and the main thing that sets locksmith Brighton apart form other locksmiths is that we’re dedicated 24/7 365 days a year ready to come out at any hour on any day or emergency and non emergency call outs. no call out charge. Because our system is so easy and simple to use it can fail sometimes when we go out to a particular job and think it’s going to be a certain type of lock, key, or door and then we face another door when we get to the home. Do we just give up and go home? Absolutely not locksmith Brighton are more than capable of dealing with your locks even if it’s one we weren’t expecting. 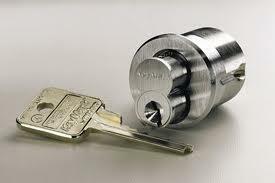 The most common type of lock this happens with is the euro cylinder. The standard shape of a euro cylinder, which are most commonly found on Upvc doors are usually shaped like light bulbs but this doesn’t mean there aren’t different shapes. The most common uncommon shape of euro cylinder is the oval shaped euro cylinder, these are a little more expensive but offer no added safety to your home. The difference in shape is purely for aesthetic purposes. Call now and locksmith Brighton will come and change your locks today even if they are uncommon. For a number of years there has been a terrible misconception that locksmiths only focus on traditional methods of securing properties solely focus on traditional methods of securing properties. The most common work we complete is traditionally the work most people think a locksmith routinely completes. For instance, our professional Brighton locksmiths regularly have calls from people in the local area who have moved house and need the locks on their front doors changing. We are also regularly contacted by people who have come home from work and can’t regain entry to their property. These are all standard jobs that any qualified locksmith could complete. Here at Brighton locksmiths we like to do things a bit differently. The security challenges facing properties these days has changed and as such, the protective measures have had to change too. Criminals are now smarter and cleverly monitor properties in order to strike when they are at their most vulnerable. Properties which are regularly vacated and those on the outskirts of Brighton – down dimly lit roads – are those most susceptible to such danger. For these properties, your local locksmith Brighton likes to recommend the possibility of hi-tech security solutions. These not only act as an extra layer of security, but often do work on the front line of protection by acting as a deterrent too. Over the years we’ve invested in our staff, their tools, and the products we use to complete different jobs. This has allowed us to deliver professional security solutions like no other that meets the specific requirements of different properties in Brighton. If this sounds like something you would be interested in, one of our expert locksmiths can come to your property at a time convenient for you to carry out a detailed security assessment in order to recommend an appropriate security solution. 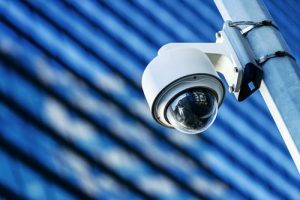 Our services range from extensive CCTV systems and alarms, to basic deterrents such as security lights on the outside of properties and fake TV lights on the inside. If this sounds like something you would be interested in, you should speak to one of our friendly expert locksmiths – who are available 24/7 to take your call. The reasons to pick us for your every key and security need are many, and although we are not fond of blowing our own trumpet we can’t help but to be proud of the good reputation we’ve built locally over the many years of working with security, keys, homes and people. If you come to us you’ll not only find the security products, repairs and upgrades that you need, you will also have the ability to ask questions, get advice, and keep up to date with both the latest security news and the latest technologies on the industry market. Locksmith Brighton work hard for you day and night, meaning that you can pick that receiver up at any time and give us a call now matter what your situation and no matter what time it is. For emergency help with lockout situations, quick access and non destructive methods prioritised, call the reliable locksmith Brighton now, or call at your next convenient moment to speak about the work that you are looking to have done. You can of course also attain your quick and competitive quote straight over the phone, and if there is a need for repairs, replacement or installation of locks, alarms, monitoring, CCTV, high security doors and more, you can can easily book in for a time that suits you. The friendly locksmith Brighton are always at your service and our standards are nothing less than excellent. Should you be looking for security that protects, keeps you safe, and keeps your financial investments secure, than ours workmen and women are the ones to get in touch with. With our flexible approach to security you will always get the highest security levels and the minimal risk at the best price, to find more about your security and to make use of the wonderful team’s extensive knowledge and work experience, feel free to get in touch straight away. Something that is a regular and an item that most people will deal with in their day to day lives is that of keys. And here are some key features to keep in mind from a locksmith Brighton who has been on the subject for many years. With dedication to customers the importance of high quality locks and keys for your home is something that is brought up as a main point to keep your convenience in your day to day routine as well as keep better security at home. So if you are in the need of getting spare keys cut for your home, please feel free to get in touch with a locksmith Brighton you will know provides you only with the highest of standards and the best of quality. You can give us a call any time with any key or security related questions, and our services are always available on short notice if required. If you have just moved into a new home, any locksmith Brighton should suggest that you get new locks fitted for your home, making sure that you are the only key holder to the locks for your home. This includes for the doors that may not always be thought of such as basement doors and window locks if they are of the kind that can be opened from the outside. 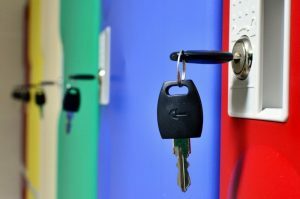 Should you ever find yourself having lost your key and needing a trained emergency locksmith Brighton lockout service to come and help you regain access, having saved our number, you will always be sure to be able to get in touch. Meaning that help will be on the way. So please don’t hesitate to give us a ring today! When it comes to security for the home, people are usually alert to the importance of sufficient protection. After all, it’s where we keep our most prize possessions and items of sentimental value. But a number of people forget of the importance of protecting their business premises effectively and appropriately. Thankfully for the people of Brighton, your local locksmith Brighton has years of experience working on both commercial and domestic properties. This often confuses people as how can it possibly be that a locksmith business is adept at both types of properties. After all, commercial properties vary far more than our homes. They include office blocks, shops on the high-street and warehouses to name but a few. However, we regularly ensure all locksmiths that join our team are highly-trained and have access to the latest tools and equipment to ensure they can tackle a job at any type of property. Office blocks can often prove the most complicated. We are regularly asked to complete routine installations of CCTV and alarm systems to ensure the property is protected when left over night. This is particularly important for those located on commercial trading estates away from the city centre where crime is less likely to be noticed. However, some of our more regular calls include removing old locks on shops and installing a new security system, as well as installing and repairing shutter systems. Many people think they would require an electrician for the latter, but rest assured the only number you need for commercial security is that of Brighton Locksmiths. We provide our security services for companies of all sizes and always ensure to provide competitive prices so that no business is priced out of effective security. If you are a relatively new business and/or are new to having your own office or business security, then don’t hesitate to give us a call. Our expert lock engineers are available 24/7 to provide a security solution tailored to your needs and reflective of your budget. The security market today is saturated with high-end security products for both commercial and domestic properties. This means that customers have access to a wide-range of products all competitively priced to protect your property. This surely can only be good news surely? Better products for cheaper prices? But what if there is so much choice it is almost impossible for the regular person to know where to begin? That’s where your trusted locksmith Brighton comes in. All our lock technicians at Brighton Locksmiths have had years of training and the relevant experience to be able to regularly test new products that enter the market. In fact, each quarter our locksmiths sit down and test all the new products that have recently entered the marketplace. When they do this they have two things in mind: is this product an improvement on our current stock and if it is, does it provide a more cost-effective solution to current stock? The main focus of your locksmith Brighton is to deliver high-end security solutions for reasonable prices. Our current stock is excellent for this, but we aware that security challenges change and new products can innovate the market. Therefore, we ensure that all our products are the best out there for the manner in which they are priced. That does not mean we only stock products at a certain price, it means that we ensure the range of products we stock are the best quality for the price you will pay. When new products enter the marketplace we will only update our stock if it meets the criteria above. Furthermore, our Brighton locksmiths have years of experience understanding the local threats and challenges to domestic and commercial properties. This means that when they are testing new products, they have these threats and challenges in mind meaning that our responses are targeted specifically to you, not the security market in general. If for some reason you require a particular security solution and we agree that it would be appropriate for your property, we can order the product in and arrange an installation time that’s convenient for you within 48 hours. As we will have already tested the product you can be sure that we will know the best solution for your property and we will always be happy to recommend any alternatives we may think appropriate. 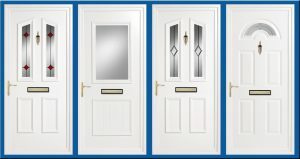 Over time UPVC door repairs become necessary as the lock ages or the door becomes difficult to open and close due to one of the various mechanisms. 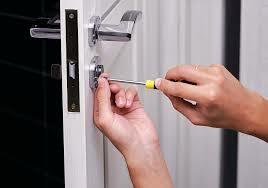 Locksmith Brighton can complete all UPVC door repairs quickly and efficiently so the door works like new again. Don’t struggle with a difficult UPVC door and let us repair it today or at your earliest convenience by calling your local professionals. If you’re looking for a local Brighton Locksmith then you’ve come to the right place. Unlocking from £33. We are an established small local company so there’s no VAT to pay. Competitive rates, discounts for students and OAP’s and of course the fastest response. Contact K H Brighton Locksmith today. 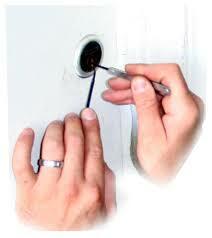 Locksmith Brighton is the friendly professionals always at help and rescue if there is a need. If you are ever in need of professionals who can reach you and help at the hours when nobody else can, look forward to Locksmith Brighton professionals who are always available to help. We use modern techniques and we ‘know how’. Locksmith Brighton are the professionals in this field and has been operating since a long time. Our customers rely on us and use us in the time of need. 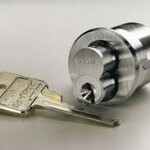 Locksmith Brighton also believe in word of mouth, so do provide quality service to our customers. Locksmith Brighton professionals are qualified yet friendly and can certainly help you when you are desperately looking for help. Locksmith Brighton knows the feeling of getting locked out of one’s own property and waiting in despair for help. And we believe in keeping our commitment. So Locksmith Brighton always ensures prompt arrival and delivery of service to our customers whenever they need. We have proved our service on time and every time. If you have lost your keys or locked them inside the house or facing the problem with jammed doors or problems with jammed, old or broken locks, look no further than Locksmith Brighton. Believe in our quality service that is second to none. Locksmith Brighton is committed to delivering quality service to our customers, leaving them satisfied every time they use us. Locksmith Brighton can open any kind of locks, so you do not have to think twice before using our service. Be it new or old, we can assist you to get in possession of your stuffs by letting in the property at the minimal time frame. Locksmith Brighton, always keep to the time frame regarding the arrival so that you don’t wait for longer then we have promised. Locksmith Brighton is on job, on time. You do not need to think twice of a Locksmith service, that we cannot deliver. 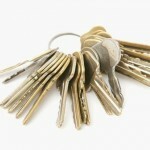 If there is a lock, Locksmith Brighton has expertise; if there is a key we also have a service. Locksmith Brighton can also help you to make your home safer, by installing services that will make your premise safer from intruders. Locksmith Brighton know how to access and open various keys and locks and can help you to open them while ensuring minimal damage to your property. Locksmiths Brighton has experience in handling any lockout situations and can confidently deal with them, so that you don’t have to worry. Locksmith Brighton is available to help 24/7 any time, any day and throughout a year, so if there is a need, there are professionals at service. Locksmith Brighton is reliable and we can help to open your doors anytime, should the situation arise due to any reason. 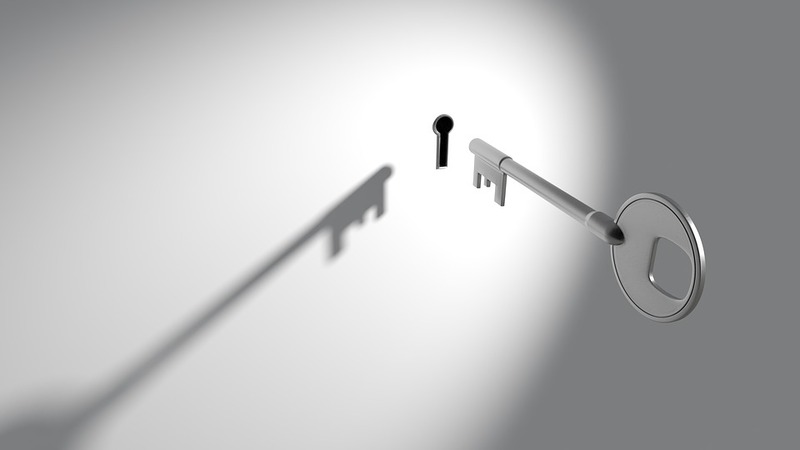 If there is a problem, Locksmith Brighton will certainly have a solution. So, at any point of time, if you are in trouble and looking to get access to your property while also looking at competitive rates, think of Locksmith Brighton, and we will be available at service. If you are looking for a high-quality yet affordable solution, Locksmith Brighton will meet and exceed your expectations. Many years of experience working with residential, commercial and industrial customers has furnished Locksmith Brighton with the skills and experience to quickly resolve your locking and security problems. Whether you are looking for a Locksmith Brighton lock change or a full security inspection and overhaul. Locksmith Brighton has a full range of locks, alarm and surveillance systems in stock and ready to be installed. Our emergency Locksmith Brighton for cars and properties will provide an access solution within an hour of your call. Our service prides itself on its efficiency, meaning a minimum of disruption to your day. We work hard to keep our prices down whilst never compromising on the quality of Locksmith Brighton work. Contact your local Brighton Locksmith today for an economical locksmith or security solution. There is only one phone number you’ll need for all your security needs. Locksmith Brighton provides a comprehensive range of security solutions, whether you are a commercial, industrial or residential client. The large central Locksmith Brighton store stocks equipment necessary for 95% of our projects, and the other 5% will be sourced from reputable merchants and ready to fit in your property within days. Get in touch today to discuss your unique requirements with Locksmith Brighton. We understand that no two buildings are the same and that every customer has a different budget and priority. Here at Locksmith Brighton we think customer service is one of the most important things to get right when looking for longevity in any sector of business. Unlike personal life where we try not to let what others think of us affect us, in business that’s impossible, especially with advancements in technology changing the way we find businesses. So it’s to our shock and awe that some companies continue to operate, and not care about their customers, sure they might have written a three page essay on their customer service but are they really like that? We know talk is cheap, in fact these companies have taught us this, that’s why we don’t just talk a good game about customer service but actually provide the same commitment we have to our locksmith work into our customer service. This is why we run a 24/7 365 day a year phone line where are customers will always be able to talk to one of our trained advisors about any of the services advertised or any other services you think we might be able to help you with. There’s no barrage of automated messages for you to wade through and we won’t keep you on hold for hours either! call us and see how much money we could save you today! From a simple but tried-and-tested Yale lock for your home front door, through to a master key service to cover the largest of commercial properties, Locksmith Brighton will supply and install to your specification quickly and efficiently. If you have heard about a locksmith service but can’t see mention of it on our website, please contact us – Locksmith Brighton staff are fully trained and we will be on top of industry developments. Locksmith Brighton aims to keep on providing the finest locksmith service in Brighton. Whatever the locksmith or security task you need completing, the professional and trustworthy team in our Locksmith area can find the right solution fast. From access solutions to key cutting to security inspections, we do it all. In these difficult economic times, Locksmiths Brighton is constantly striving to improve prices for our valued customers, so contact us today for the best prices in the area. Brighton is at the forefront of British cities and your property would definitely benefit from the increased security of a high tech security solution as offered by Brighton Locksmith today! There are a range of different things we can provide for your home or business, so why not give our friendly team a call and see what options there are available to you. 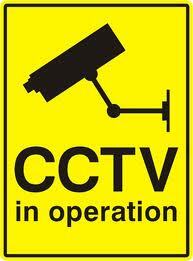 If you’re looking for a CCTV and alarm system, then we’re the place to go! We have modern systems that can be wired or wireless to your preference, with a range of amazing features. For example they can stream video directly to an app on your phone so even if you’re not home you can see what’s going on. This is great for business owners or people looking to check up on their pets while they’re away. We also have a range of digital and keyless entry systems for your property. You’ll never have to worry about losing your keys again with one of these incredible systems. The simplest ones work with codes, much like a PIN device, but our more advanced systems can come with biometric scanners for fingerprints, retina scanners and more. These offer a very high level of security, but are often unnecessary for the average home or business, especially if many people require entry. That being said, biometric scanners are great for safes where only one or two people need access, and you’ll be glad to hear that Brighton Locksmith also stock and install these! We’ll even help you set them up and ensure everything is in working order. Our best security technologies are anti-tamper, meaning no one can mess around with your cameras or the safety of your home. If you think your property would benefit from digital security (hint – it would!) then get in touch with our amazing Brighton Locksmith team today! One thing that people don’t think about often enough is their garden, and how this can be used to help keep your home secure! At Locksmith Brighton we have some of the best advice on defensive gardening, and how different techniques can be easily implemented to deter thieves from your property. One easy way to think of this is with the different senses. SIGHT – One way to make your home more secure is to have large hedges around the property. These will mean that anyone coming to your home will have to enter through the front gate, allowing you to see them. You will also be protected from more angles if you are surrounded by lovely green hedges. 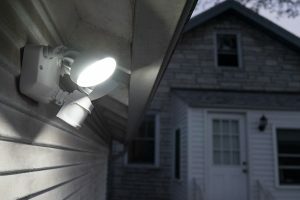 Another sight tip is to install a motion light. This is a light, often a floodlight, that is triggered by movement, so if anyone is skulking around in your garden the light will flip on and illuminate them! These are also useful for seeing your way to the front door at night time. SOUND – A thief is not going to be happy approaching your home if it means they will make lots of noise! They are all about being silent and sneaky, and so noises will scare them off, much like wildlife. To achieve this you can install gravel pathways leading to your home – this means you will hear a burglar before they can get close to your property, and they will often not bother to attempt your house due to this. 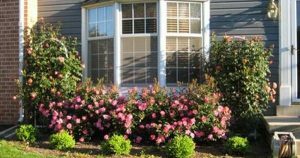 TOUCH – Nobody wants to wade through thick, thorny rose bushes to enter your home! That’s why Locksmith Brighton recommend thorny plants, such as roses or hawthorns, growing underneath your windows. These are the easiest access points for thieves, and the presence of a plant there will deter them from approaching your home. Brighton Locksmith knows that when you’re locked out it can be a very stressful experience, especially if there is food cooking on the hob or a child accidentally locked inside. That’s why we can get to you within 30 minutes of your initial call, in order to have you back in your home fast. But if it’s not an emergency, there are a few other options you could consider first. If you are renting your home then calling your landlord should be your first port of call. 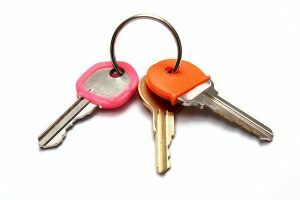 Often a landlord has spare keys and so can get you back into your home easily and without the need to hire a Brighton Locksmith. However, there are some situations in which contacting your landlord may take too long – for example, on the weekends or evenings, or in the middle of the night. In these cases it is best to call a professional team who can get you back inside as soon as possible and with no damage done to your door – that’s where we come in! For top quality work at any time of day or night, accompanied with a smile, look no further than Brighton Locksmith. Of course, you may have a spare key at a neighbour’s or family member’s home – you can always try and get this first, but you may come into the same problem as if you were trying to contact your landlord. It is often more convenient to call the professionals and endeavour to help every customer with the speed and workmanship that we are proud of, so look no further than our talented team to help you get back inside your home today.